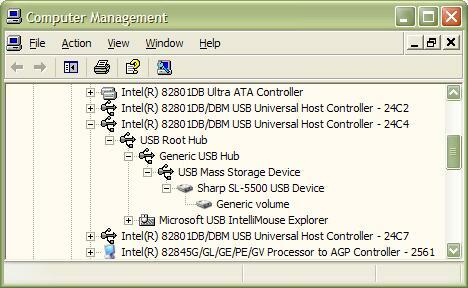 USB Storage functionality ported from SL-C860 device. This package is for SL-5500/5000 devices only. Do not install on SL-5600! This package has only been tested under Sharp ROM 3.10. It's not garanteed to work with other ROMs and kernels. Sudo package is requried. Sudo package for Sharp ROM 3.10 can be downloaded here. 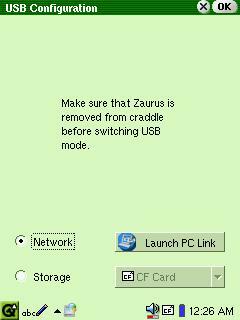 When in USB Storage mode, suspend and resume Zaurus after removing it from cradle. Otherwise removable disk driver will not appear in your PC when Zaurus is inserted in cradle again.